It's Hip 2 Serve! 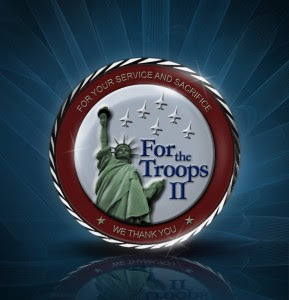 : For the Troops II-14 FREE Music Downloads!! To honor the men and women of the U.S. Armed Forces, 14 popular recording artists have banned together to offer FREE music downloads for the troops! Some of these songs include Alan Jackson's "Where I Come From," Daughtry's "Home," Gretchen Wilson's "California Girls" and many more. Click here to view the artist selection and to download your favorite songs (you will first be required to log into AAFES).